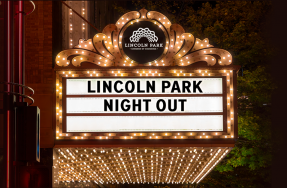 Make Lincoln Park your weekend destination. We have everything from Earth Day celebrations to James Beard inspired meals, and everything in between. The Chicago Architecture Foundation (CAF) has partnered with ArcLight Cinemas Chicago to bring you an exclusive monthly film series that explores how filmmakers use our city and its architecture to tell extraordinary stories. The selected films will be screened and followed by a discussion and Q&A with expert panelists on compelling themes related to the film as they pertain to architecture and design, filmmaking, and Chicago. The Dark Knight – Discussion topics: Location scouting, modifying architecture to create a mood, what makes Chicago recognizable as itself and what makes it “Gotham”? Conducted by Cliff Colnot, director of orchestral activities and principal conductor of the Chicago Symphony Orchestra’s contemporary MusicNOW ensemble, the DePaul Symphony Orchestra focuses on a thorough and serious study of the core orchestral repertoire. Students receive regular coaching by members of the Chicago Symphony Orchestra, the Lyric Opera orchestra and DePaul’s pre-eminent string and wind faculties. Rehearsals are three times a week for two hours and concerts take place four times per year. Each season culminates with a nearly sold-out, spring concert at Orchestra Hall. Join us for an evening of interactive events. From a food waste composting demo to the Zero Waste Challenge, we will feature three local artists and activists whose work centers around the environment. Then, join us for an evening performance of QUEEN. Each ticket includes a gift bag with seeds to help you start your bee-friendly garden and other fun favors! We will feature three local visual artists that work with recyclable and sustainable materials. Use promo code EARTHDAY to receive a discounted ticket price. Volunteer to help your planet on Earth Day! Join 100+ fellow park lovers to mulch trees, clean the park and help with other special projects. Groups welcome with advanced notice. Celebrate Earth Day and do some spring cleaning by recycling your unwanted electronics and household waste. This event is sponsored by DePaul University’s Environmental Health and Safety department. 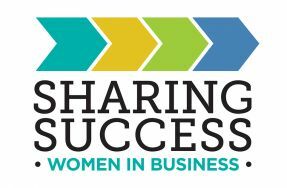 For more information and to RSVP click here. Join 2nd Ward Alderman Brian Hopkins, Cook County Sheriff Tom Dart, State Sen. Hunter and State Rep. Feigenholtz for a free paper shredding, electronics recycling, prescription drug take-back and donation drop off. The 2nd annual James Beard Eats Week begins Friday, April 21 and runs through May 1. 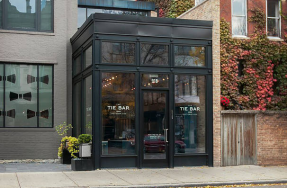 Lincoln Park has several restaurants participating this year with special entrees or menus inspired by the “Dean of American Cuisine” James Beard. Below are a list of participating restaurants and their menus for the week. Menu: Razor Clams A La Plancha with garlic, shallots and nora pepper vinaigrette. Chef Holmes will also offer Spanish Vitello Tonnato with cured Ibérico pork loin, Spanish tuna, fried capers and parsley, a Spanish version of the Italian classic. Menu: James Beard Burger Au Poivre, a burger perfectly prepared with French Swiss and delicious Green Peppercorn Sauce.